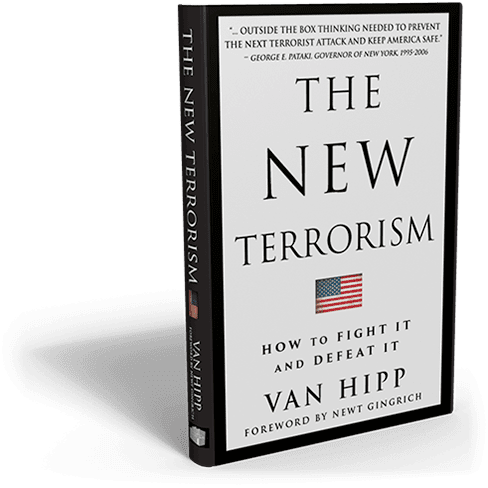 Vito and Vito interviewed Chairman of the American Defense International , Inc. (ADI) and author of the new book, The New Terrorism: How to Fight it and Defeat It! "In today's world, terrorism commands our constant attention. Few people in North America and Europe have the capacity to study and analyze the wide scale number and kinds of threats facing us as a civilization. Even fewer can make constructive suggestions on how to meet and eliminate these threats in an effective way. Van Hipp is one of those few. He discusses the full range of threats. Not just the constant threats of suicide bombers, airplane hijackings, and odious beheadings, but the threats from military and cyber-attacks. He stresses the need to upgrade our missile defenses, protect ourselves from cyber-attacks, and eliminate the danger posed by our porous borders. He calls on our national leadership to rise to the challenge posed by these dangers, and to undertake the steps that will protect us all from these threats." Find out more about Van's new book, what the U.S. needs to do about defeating ISIS and Van's opinion of CPAC 2015! Be sure to tune in next week to hear this golden interview! Read more about Van Hipp below! Van Hipp is a veteran of the U.S. Army and served on active duty in both Operation Desert Storm and Operation Restore Democracy. He continues to speak on defense issues at public forums across the country, and his articles on defense and international policy have been widely read in the national print media. Since the September 11th attacks on the United States, Hipp has appeared on the Fox News Channel well over 400 times as an expert commentator on the War on Terror and has been a guest on virtually all of the network’s major news programming including The O’Reilly Factor and Hannity and Colmes. In addition, he has appeared on MSNBC, including HardBall and Scarborough Country, CNN with Paula Zahn and Daybreak, the London-based Sky News Channel, and the CBS Evening News. He has also been named to the President’s Council of the National Safe Skies Alliance. In 2002, Hipp was named by then Governor Jim Hodges (D-SC) as South Carolina Ambassador for Economic Development. He is the past Chairman of the Salvation Army Board of Advisors in Alexandria, VA, and currently serves as a member of the National Capital Salvation Army Advisory Board, and as a member of the Board of Visitors of Charleston Southern University.